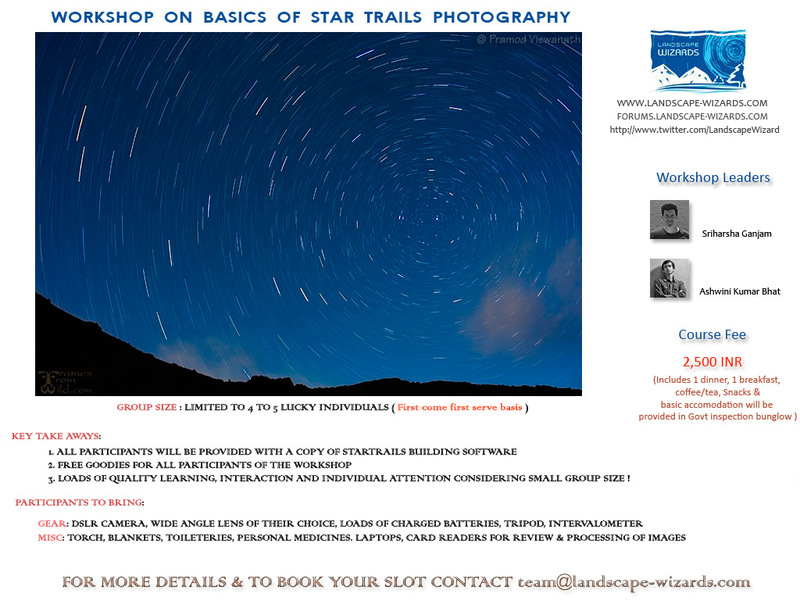 Landscape Wizards is pleased to announce star trails photography workshop. Venue: Jayamangali Blackbuck reserve, Maindanahalli. Limited seats available. Get in touch with us soon. Click on the below image for more details.